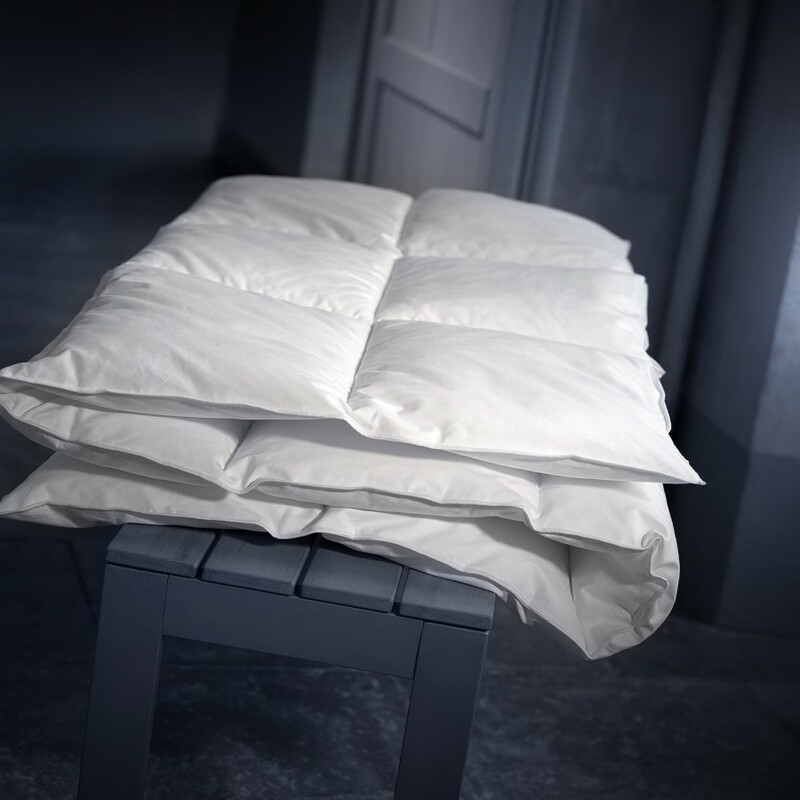 A favorite of luxury hotels, the synthetic Prestige mattress topper provides soft warmth. It brings comfort and softness, in addition to a firm mattress. It offers the sensation of sleeping in a cozy nest. 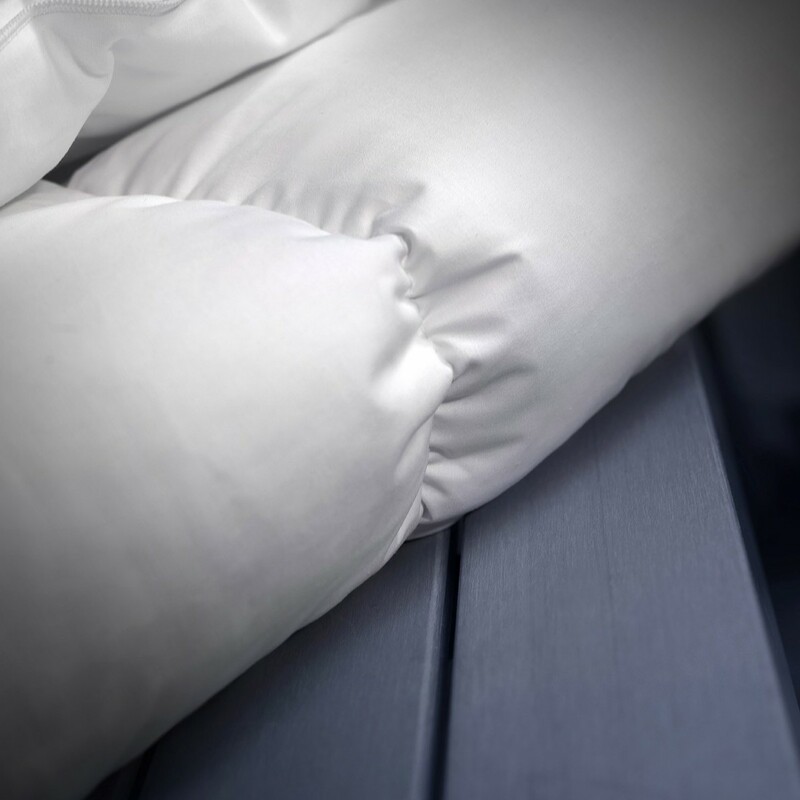 A favorite of 4* hotels and Palaces, the synthetic Prestige mattress topper, lined with silicone hollow polyester fiber and wrapped in a cotton twill, will give your night a flexible and cozy comfort. It will give you a totally restful night. Composition This synthetic mattress topper is filled with 100% silicone hollow fiber. The envelope is pure cotton twill anti-duvet. Attached to the mattress with elastics, the Prestige Synthetic mattress topper is 4 cm thick and has a filling of 700g / m² for a superbly fluffy. The filling is maintained by an edge-to-edge tile stitching and satin stitched finish, ultra-resistant seam. Packaging The Dumas Paris canvas bag protecting the pillow can also be used during your leisure as well as for your departures on weekends and short stays. Tailor-made and embroidery Made in the standard sizes of mattresses, synthetic Prestige mattress topper is custom-made and on demand, if your mattress itself is custom-made. An elegant embroidery of your initials may be affixed. Any special request requires a realization period of 10 days. Any special size or customization can not be resumed or exchanged. Delivery and return Your product will be shipped in 48 to 72 hours at your home or relay point. Delivery in metropolitan France is free. You then have a period of 14 days to return or exchange the product if it does not meet your expectations. Any made-to-measure product (embroidery, specific size) will not be returned or exchanged and will require an additional manufacturing time of 5 days. Cleaning proccess It is recommended to wash your mattress topper once a year minimum by focusing on the summer period. It can be machine washed at 40 ° C with a maximum spin and then dried in a tumble dry. The synthetic Prestige mattress topper is a product of Haute Literie®. A real cozy nest, the synthetic Prestige mattress topper is the comfort complement chosen by luxury hotels. Dumas Paris has been making high quality bedding products in France since 1910. Quality and know-how are the key words guiding the realization of Haute Literie® by Dumas Paris.